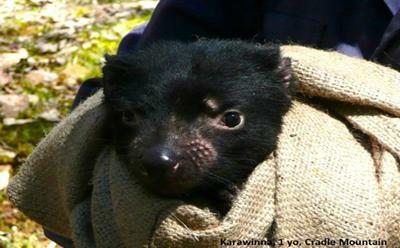 Developing a peptide vaccine that will target the contagious cancer, currently threatening the Tasmanian Devil with extinction. 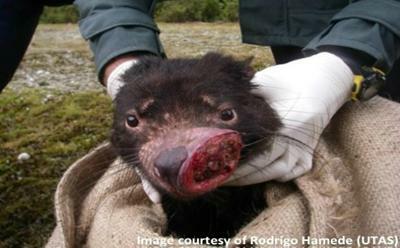 Devil Facial Tumour Disease (DFTD) is an infectious cancer that is eradicating the Tasmanian devil, the world’s largest remaining marsupial carnivore. DFTD arose originally from a neural (Schwann) cell and the devil’s immune system does not respond to it. We will identify protein changes between DFTD and normal devil Schwann cells to identify proteins that can trigger immune responses to DFTD. These are potential targets for a DFTD vaccine that will save the devil from extinction. The research will also enhance our understanding of how cancers avoid the immune system, which could have implications for cancer treatment in humans.